Park Forest, IL-(ENEWSPF)- The owner of two German Shepherds was cited in late February when police received a call about stray dogs chasing students around a parking lot at Rich East High School. The dogs led police on an extended chase through the Village. Before it was all over, a 62-year-old man and a 15-year-old boy were bitten, according to police. An officer was dispatched to the area of Rich East High School, 300 Sauk Trail, on February 28, 2018, at 8:48 AM to investigate a report of stray dogs. 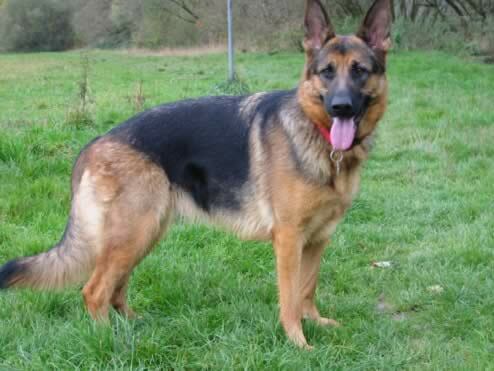 SouthCom Dispatch advised that there were two German Shepherds chasing students around the parking lot. Four other officers arrived on the scene to assist. The officer who first responded saw the two dogs running around the east side of the school. The dogs were barking as students approached the building, according to police. The officer was able to force the dogs to move away from an entrance to the school using his vehicle and emergency sirens. The dogs then began to run towards a field, eventually making their way onto Sauk Trail. Officers attempted to capture the dogs as they ran onto Sauk Trail, Lester Road, Apple Street, Oak Street, Western Avenue, and more, all with negative results. Officers even attempted to capture the dogs when they went into the Forest Preserve near Sauk Trail and Western Avenue. Meanwhile, SouthCom Dispatch advised officers that there were now numerous calls coming in from residents regarding the dogs running at large. One officer also observed a man standing on the roof of his vehicle, attempting to prevent the dogs from attacking him. At approximately 9:47 AM, dispatchers notified police that there was a bite victim in the area of Western Avenue and Dogwood Street. They met with a 62-year-old man who said he was walking in the area of Western Avenue and Dogwood Street when he saw the two dogs on the west side of the street. Both dogs ran across the street and began to bark and attack him, according to police. The man told police that one of the dogs bit him twice in his left leg. An officer observed a 6 to 8 inch laceration in the man’s left shin. The wound was bleeding. Park Forest paramedics transported the man to St. James Hospital for further treatment. Police were able to locate the dogs in the first block of Oak Lane. One officer fired a tranquilizer dart at one of the dogs, striking it in its hind area. However, the dart did not have an immediate effect on the dog and both dogs continued back onto Sauk Trail toward Orchard Drive. 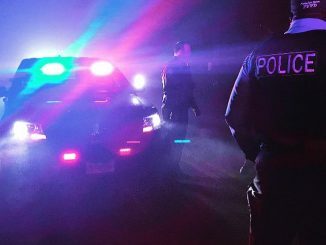 Police then observed a man, later identified as Dontae A. Pitts, 29, 3550 198th St., Flossmoor, stopped at the intersection of Orchard Drive and Sauk Trail. Mr. Pitts exited his vehicle and ushered both dogs inside the vehicle. Mr. Pitts told police that the dogs belonged to him and that they must have dug a hole underneath his fence, allowing them to escape. Police asked to see current rabies and village licensing information for the animals. Mr. Pitts was only able to show proof of one dog receiving a rabies vaccine in 2016, according to police. Mr. Pitts told police that the dogs are German Shepherds, one a female weighing approximately 70 pounds, and the other a male weighing approximately 97 pounds. Police issued Mr. Pitts municipal citations charging dog running at large, failure to show proof of animal license, animal bite, and fierce/vicious dog. Mr. Pitts was issued each of these citations for each dog respectively. He was also advised that the female Shepherd had been tranquilized and that she should be brought to a vet for examination. 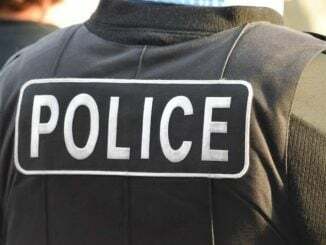 It was after this that SouthCom Dispatch further advised police that a 15-year-old boy had sustained an injury from the dogs, but that his father had taken him to the hospital for treatment. 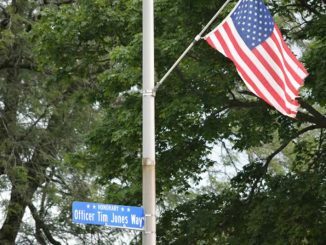 After he was discharged from the hospital, the teen’s father brought him to the Park Forest Police Department. The teenager told police he was walking to school near door 10 of Rich East High School when he saw the dogs run past him. He thought that they would keep going. However, the dogs turned back towards him and one of the dogs bit him, puncturing his right calf, according to police.